A few years ago, when I was a teenager, I fell in love with a boy who just really wasn’t right for me in any way. He was rude to my friends, but when they urged me to leave him, I didn’t listen. My mom saw the way he treated me (which wasn’t very good), and kept questioning why I was still with him. Her disapproval worried me, deep down, but I ignored it. Then one day my grandmother called me and said: “Baby, what’s going on with you these days? I hear that things aren’t good.” I knew, that moment, it was over. After her phone call, I broke off all contact with him and felt more secure in my decision than I ever thought possible. Whenever my grandparents step into a situation involving my siblings or me, I know it must be serious and I should take notice. 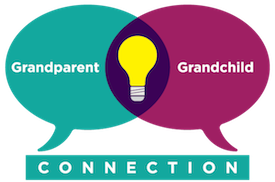 Let’s face it: it’s not the same as when a parent steps in; parents will nag you about everything and anything, but grandparents just get to be sweet to you! I know that if they are genuinely concerned about me, they must know what’s best and I should listen carefully to what they have to say.